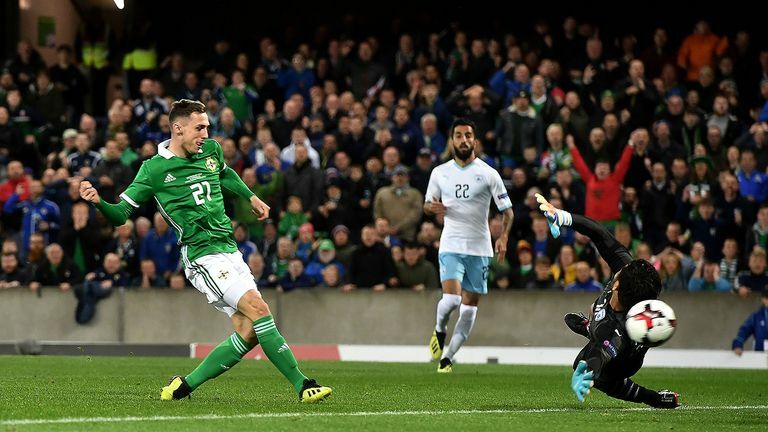 Northern Ireland manager Michael O'Neill says he always knew Gavin Whyte could make the step up to international football after the Oxford United striker scored on his debut for his country. Whyte, who left Crusaders this summer, came off the bench to score Northern Ireland's third goal in a comfortable 3-0 win over Israel in a friendly on Tuesday night. In fact, it took 22-year-old just 106 seconds to get off the mark for his country, and what is more, he netted with his first touch after entering proceedings midway through the second half at Windsor Park. 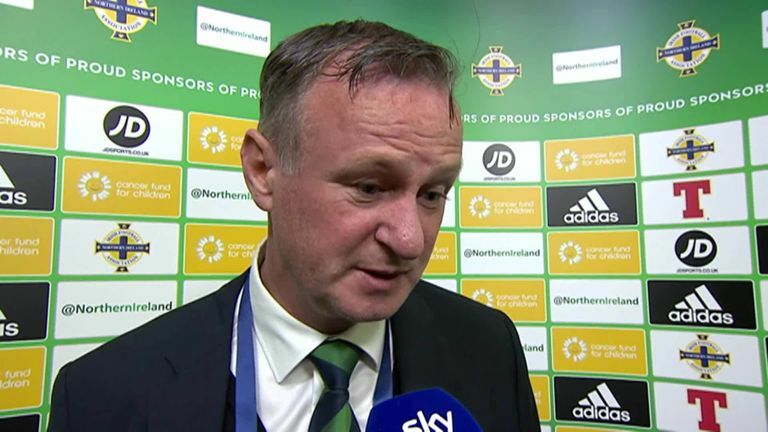 And O'Neill had nothing but praise for Whyte after the full-time whistle. "I'm delighted for him, it's a great start for him," he said. "He has come into this squad on this trip and made an impact in training certainly, so it was good to give him an opportunity to go on the pitch. And it could not have gone any better for him. "I have watched Gavin for a number of years now in the Irish and the domestic league and you always saw a player with real talent, I kind of wished he could get the opportunity to move across to full-time football. "We took him on the summer tour to give him a little bit of exposure really and he eventually gets that opportunity. He is just stronger and quicker and his talent was never in question. "Gavin has always had an eye for goal and in a wide player, that's a great ability to have. He was consistently a double-figure goalscorer when he was here, he's already got three goals in six for Oxford. "And now he's opened his international career with a goal, so that's a big plus for us." O'Neill, meanwhile, thinks his side's displays against Israel and Bosnia and Herzegovina on Saturday will stand his players in good stead for their tough-looking double header in Austria and Bosnia in the UEFA Nations League in October. "It is a confidence thing. Again it was good to keep a clean sheet, as well as score three goals, create the chances that we did, particularly as the game wore on," he said. "At times we were not as good tonight as we were on Saturday and to be honest, I thought out performance on Saturday was better. "But it just shows you how football works and where you get your rewards and we have to try and take something from the two games - Bosnia have won their opening two games, so they are in a very strong position, so certainly we need to try and take something in the two games. "But it will be a very difficult double header away from home, two tough games."